The Texas sun is unrelenting. On hot days, it can leave you overheated, dehydrated, and sunburnt. Fortunately, there are a variety of trees that can keep you from overexposure to the sun. That’s the topic of today’s article, and that’s what we’ve been disgusting in past blogs. 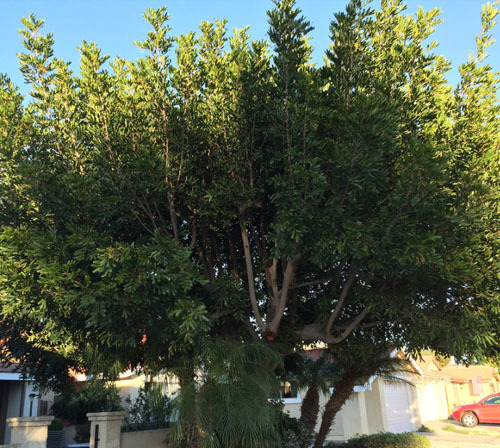 Today, to continue the theme of our tree service blog, we’re going to point out a few more tree species you can count on to keep your landscape, your yard, your deck, and your patio shady in the heat of a Texas sun. The Red Maple is an ideal tree for a Texas landscape. These trees grow fast, they provide full foliage, and they don’t need much moisture to survive. 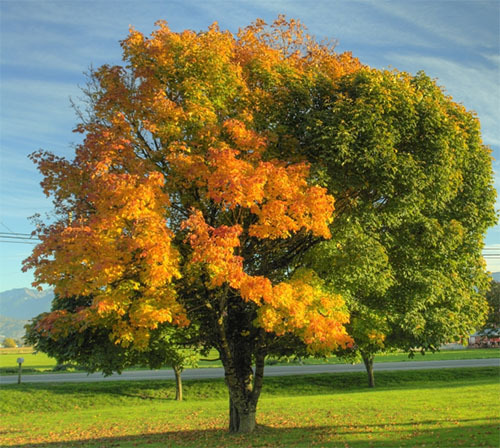 Red Maples are dense and sturdy, making them an excellent windbreak for fields. Plant Red Maples wherever you’d like, and enjoy the red coloration of the leaves come fall. Camphors provide a bit of shade, they provide privacy, and they naturally deter mosquitoes! Camphors love the rays of the Texas sun, and they’re suitable to thrive in most soils. Folks often plant camphors in a row to serve as a living “privacy fence” for their property. Since these trees don’t drop their leaves in the autumn, they’re perfect for privacy year round. 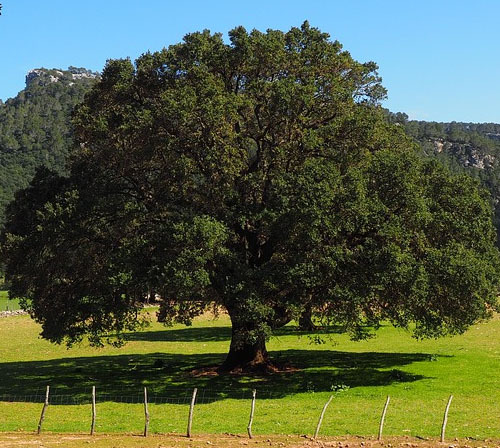 The Carrotwood Tree can provide privacy in a fashion similar to the Camphor tree. These trees, which are named “Carrotwood” due to their carrot-like shape, form a circular canopy that’ll grow close to the ground unless appropriately pruned. The Carrotwood is thick with branches that weave as they extend toward the sky. Carrotwoods thrive in moist soils, and grow well in clay soil. Carrotwoods are hardy and can handle the heat of the Texas sun. 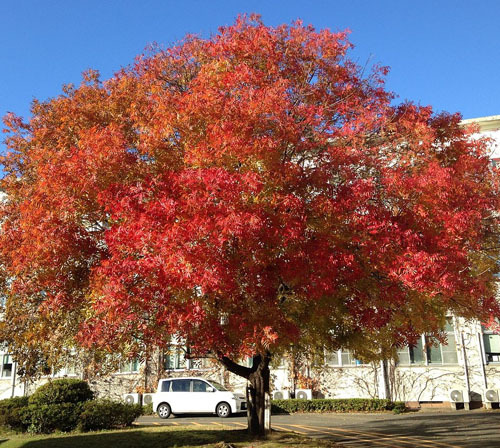 The Chinese Pistache Tree is popular for its vibrant red color in fall. This tree has unusually thin leaves triangular leaves. Round in shape at maturity, the Chinese Pistache tree can grow to 35 feet in height and width. Since the Chinese Pistache loves full sun exposure, it’s an ideal candidate for planting within the Houston landscape. The Chinese Pistache can grow in most soils, and it is drought resistant. With the right choice of tree species, your Texas landscape can be beautiful while keeping you cool. If you need further advice on trees to plant, or if you need any tree services, you can get in touch with us here at JRP services. 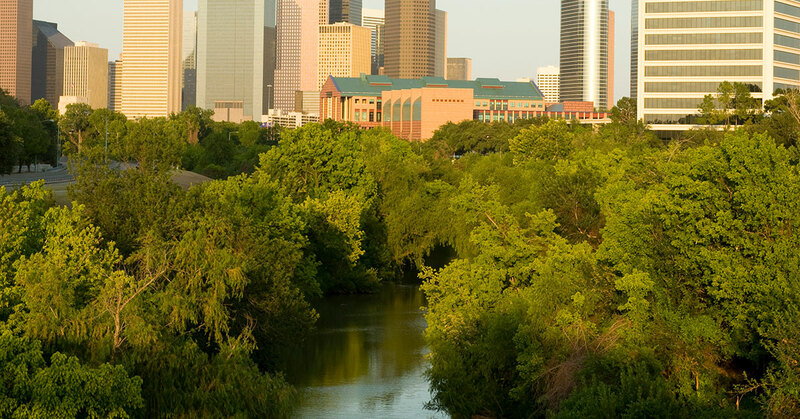 Our landscapers provide tree services for folks throughout Houston!